English as a Second Language courses historically have not been accredited at universities. The same is still true today: more than 50 percent of colleges do not give credits for their ESL courses. UH Hilo is one of these universities. To avoid getting placed directly in the English Language Institute courses, international students whose first language is not English must take a test that measures their English language abilities. The Test of English as Foreign Language is one of these. The TOEFL is about four hours long in duration and costs approximately $170 to take. 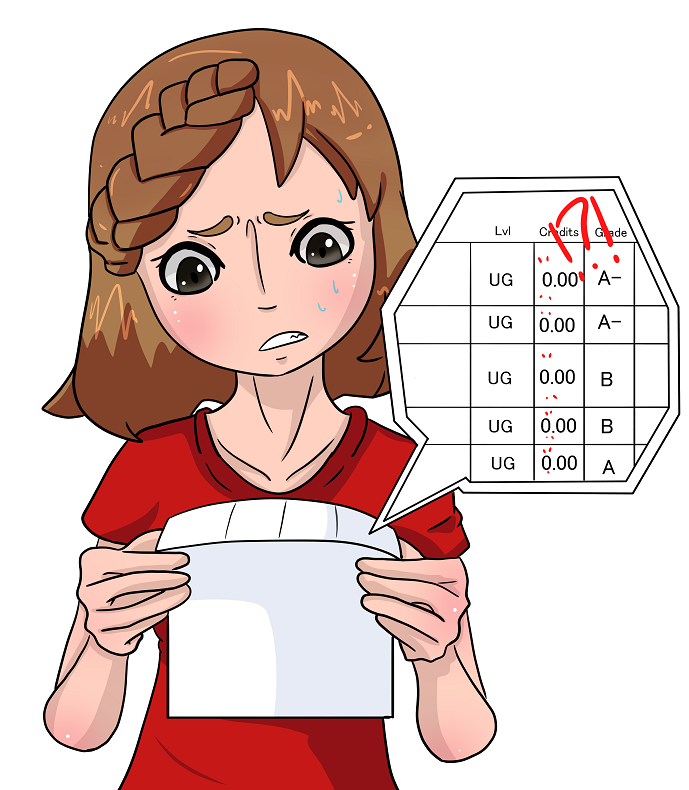 At UHH, students must score above a 61 in order to not be placed in an ELI course. The next step is a placement that test international students take upon arriving at UHH. Placement exams and the cutoff points for each vary in different colleges, but the idea is much the same. Getting a high enough score on this placement test is a prerequisite to taking ESL 100 or ESL 100T—the exact same class as ENG 100 but for second language English speakers—a class which they need to take before graduating. Getting to this point is not often simple; if you don’t place high enough, you will have to work your way up to ESL 100 by taking classes that don’t receive credits. There is always the option of retaking the test in the following year, but improving language skills in such a short time is not feasible, so many don’t choose that path. These non-accredited classes are required on top of general ed courses and major studies. It is common for international students who are non-native speakers of English to be set back by a semester and sometimes a whole year because of the need to take these courses. “It is really hard already to take the normal courses to graduate on time for some native speakers,” says Vivid Wu, a student athlete from Taiwan. Indeed, new studies show that it takes students across the U.S. an average of five to six years to earn what has been traditionally considered as a four-year degree. Wu states that ESL classes take too much time and although they are unaccredited, they still count as courses and therefore add to the workload. To continuously pile on these required courses is strenuous because it is difficult to obtain an override—not to mention the time and effort that goes into studying and preparing for that amount of classes. Lahaina Pedro, a student from Palau, states that though taking ESL courses deepened her understanding of the English language, it’s been “very exhausting.” She adds that as a transfer student, being required to take ESL courses held off a lot of the other classes that she had to take, and on top of that, she wasn’t getting credit for them. “I think that if we have to take the course, we should get credits for it,” she said. Furthermore, international students face the highest tuition costs. “College is expensive, and knowing that you might have to spend an extra semester and sometimes up to an extra year is a huge deterrent,” says Julie Mowrer, director of the English Language Institute and ESL professor at UH Hilo. Not giving ESL classes credits is a nationwide practice. Mowrer estimates that well over half of universities in the U.S. are not giving credits for ESL courses. ESL is traditionallly considered to be a remedial or developmental course, when this isn’t necessarily the case. Treating it as such justifies the lack of accreditation. Mowrer poses a different way of looking at the situation. International students who are coming in with English as their second language—or some, she points out, it could even be their third fourth or fifth language—are clearly intelligent and are not lacking whatsoever in critical thinking. Remedial and developmental courses are in place because of information that was lost or not understood at the high school level, whereas taking an ESL course is more akin to a local student coming to UH Hilo taking Spanish or Japanese to obtain a certificate or degree in that language. Despite the statistics and history surrounding the no-credit history of ESL courses, Mowrer shares that there’s been an exciting shift in recent years. “Now we’re looking at ESL courses as doing a degree in a second language, it’s very different than looking at someone doing remedial or developmental classes—where those are something that they should have gotten in high school before getting to this point,” explains Mowrer. There is now a push to give credit where credit is due. Instead of looking at ESL classes and treating them as remedial or developmental, colleges such as the University of Oregon are now offering credit for taking these classes. It should also be noted that the website for University of Oregon’s Intensive English Program offers a translation in 15 different languages, a service that the UH Hilo website, despite being the most diverse school in the nation, does not provide. The same goes for the UH Alert Notifications; the language cannot be changed from English. Emergencies present a new, terrifying aspect to not having language settings: it could become a matter of life or death. She does mention that UH Hilo is very fortunate to have a lot of administrative support for their case. They were even able to get an ESL course approved for credit, which will take effect next fall. Tackling the accreditation process like this makes it easier to justify when they ask for credit in other ESL courses in the future, Mowrer says.